I am very happy with my new prescription. Home » » I am very happy with my new prescription. 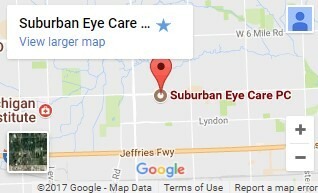 I have gone to many chain optometry offices in the past, and I have never received the care and services provided to me by Suburban Eye Care. I have astigmatism, and have had problems with contacts in the past. Dr. Arnold took the time to ensure my contacts fit me properly. I am very happy with my new prescription and contacts.